The popular free to play 3D MMORPG League of Angels II recently released a huge update to it’s Battle Pet system, and with it came the new Challenger’s Road dungeon. Read on to learn more about this unique new PvE experience! 1. 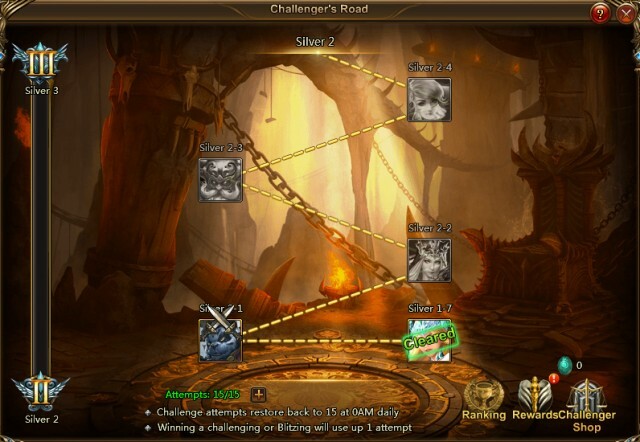 Challenger’s Road is a ladder dungeon that is divided into Leagues: Bronze, Silver, Gold, Platinum, Diamond, and Master. 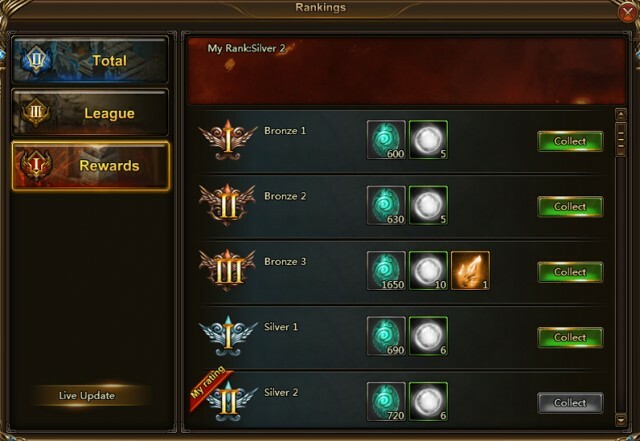 Within each League are a number of Ranks (Bronze 1, Bronze 2, etc.). Player’s starting Rank placement when first entering Challenger’s Road is determined by their B.R. 2. Challenge Attempts: Each Rank contains a number of challenge stages. Once a player starts a challenge, they will need to clear as many stages as possible. Players will get 15 challenge attempts per day, and clearing a stage uses up 1 attempt. 3. Promotion System: After clearing the stages within a Rank, players will be given an Advance Match. Winning this match will advance you to the next Rank (e.g. Bronze 1 to Bronze 2). Clearing all stages in a League to get a Promotion Match. Win the promotion match to access the next league (Bronze 3 to Silver 1) the next week. 4. Promotion Match: Promotion matches do not use challenge attempts, and the requirement for passing is to beat 2 out of 3 enemies. Players have 2 chances to defeat each enemy per day. 5. Weekly Promotion Rules: Players can only be promoted up a League once per week. 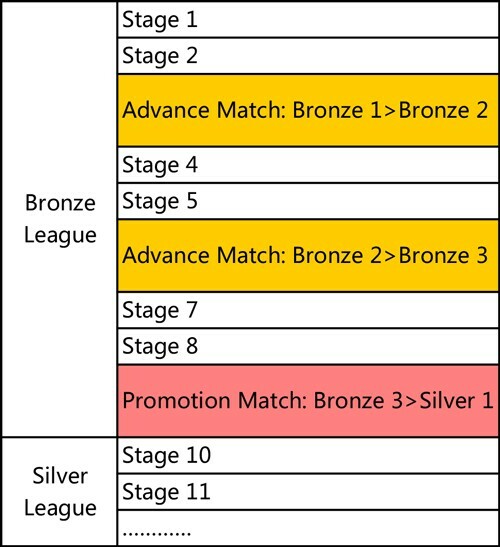 If you are promoted, the following week you will begin at Stage 1 of the next League. For example, if you started at Bronze 1 and moved all the way up to Bronze 3 and won your Promotion match that week, you will be promoted to Silver 1 the following week. 6. Rankings: Challenger’s Road will rank each players based on their overall progress as well as progress compared to others in their rank. 7. Rich Rewards: There are rewards for clearing each stage, as well as rewards for successfully passing Advance and Promotion matches. Players will also get all previous rewards if they are initially placed in a high rank. Players also earn Challenger Crests from stages that can be exchanged for resources in the new shop. A new challenge is waiting for you to conquer in League of Angels II! Master this unique dungeon to earn new Battle Pet resources! Upgrade and evolve your Pets to unlock their true potential, and watch your B.R. constantly rise. Play League of Angels II now for free! Next：New Age of Battle Pets: Create Your Legion of Pets!